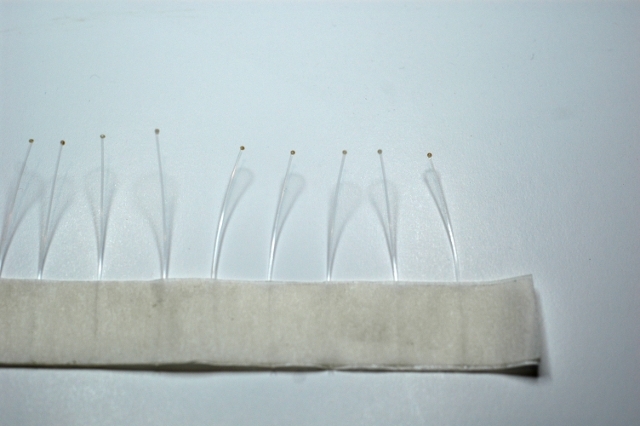 This step-by-step will show you Charlie Craven’s method for making your own crustacean eyes. Whether you’re making a crab or shrimp pattern or anything else that would look and possibly work better with eye stalks this should help you. You’ll have control over colors, size, and length. Tailor each batch to meet your specific needs. 1. Cut short, even pieces of heavy mono (I used 30#) and sandwich between layers of masking tape. Use a lighter to burn the ends into small balls. 2. Mix very small amounts of epoxy. 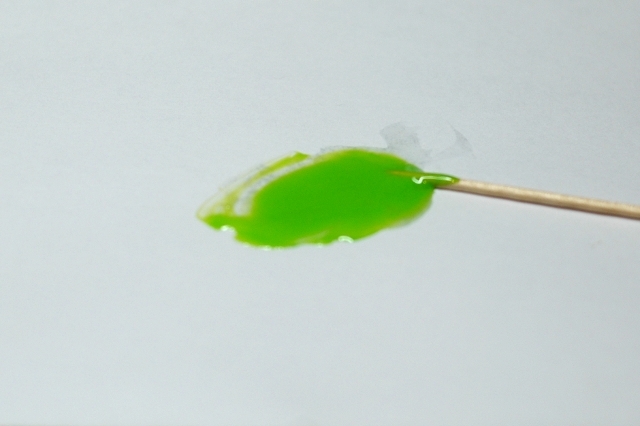 Stir in paint to desired color and mix thoroughly. 3. 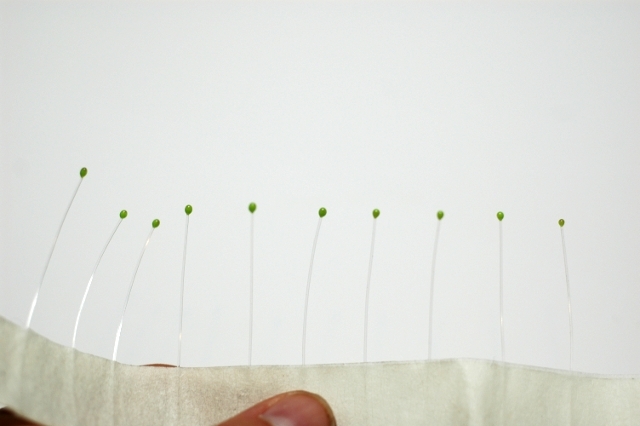 Carefully dip each stalk ball into the epoxy mixture. Repeat as needed to build desired eye size. 4. Let eyes dry 10-15 minutes before using. I found I didn't need to spin dry. I used Testor’s model paint for this. The color is Sublime Green. At just $1.50 per bottle and 1 drop of paint per batch my great-grandkids will be able to make their own eyes. 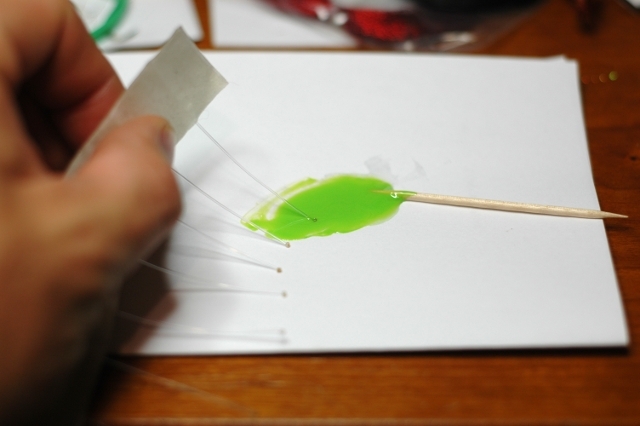 Use the epoxy sparingly. I thought I used very little and had a lot left over after making 10 eyes.